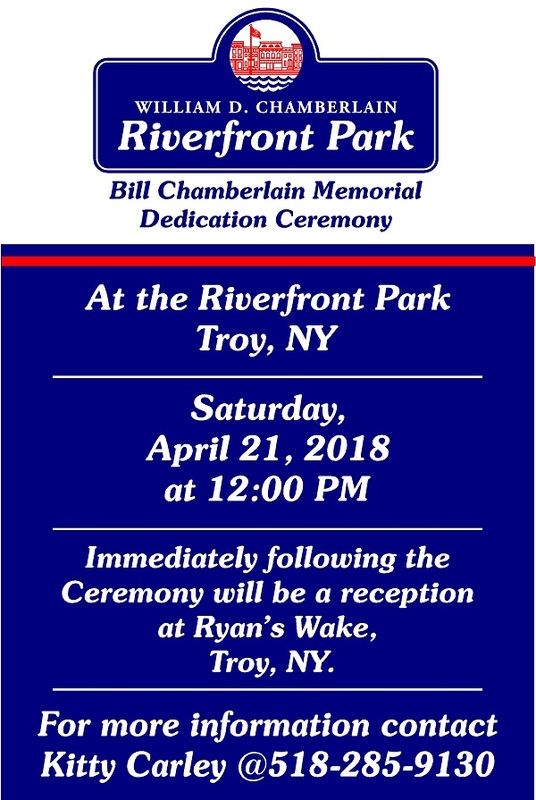 TROY, NY – Mayor Madden today announced the City of Troy will officially dedicate Riverfront Park to the memory of William D. Chamberlain, the City’s longtime Director of Operations. 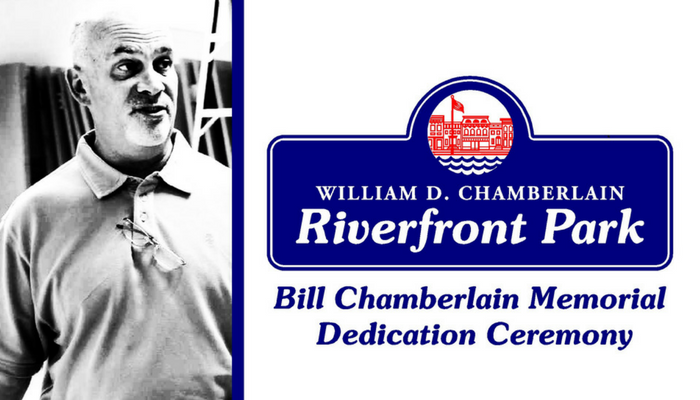 The park and adjacent portion of Front Street will be dedicated as “William D. Chamberlain Riverfront Park” and “Chamberlain Way” in recognition of Mr. Chamberlain’s life and three decade career with the City of Troy. Plans for a permanent memorial began in 2017 when a local volunteer committee – consisting of friends, City employees and former coworkers – began discussions on how to honor and pay respect to the memory of Bill Chamberlain. In coordination with the City administration and the Chamberlain family, the committee proposed and obtained approval for the dedication of the park and street. The memorial committee raised nearly $4,000 from local donors to cover costs associated with the dedication of the park, including the design & production of memorial signs from Troy-based business Sign Studio, Inc.
A special dedication ceremony has been scheduled for 12:00pm, Saturday, April 21, at Riverfront Park, with a reception at Ryan’s Wake, located at 403 River Street, to be held immediately following the event.